What Does Retro Outdoor Lighting Mean To You? When you think retro outdoor lighting what comes to mind? Better yet, when you think of the word retro what era comes to mind? The word retro can mean different things to different people and therefore the definition can vary widely. According to Webster's dictionary, the word retro is defined as: relating to, reviving, or being the styles and especially the fashions of the past : fashionably nostalgic or old-fashioned. 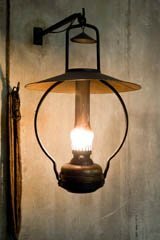 For some people it may mean taking a trip back in time to the sixties, others may see it as going way back to the beginning of modern electricity and lighting. Most often the definition of retro outdoor lighting is determined ultimately by the kinds of things you associate to that era and how you think those things will fit into your outdoor theme. Sometimes its hard to decide on what types of outdoor lighting fixtures will fit nicely into your outdoor environment. Here are four things to consider in your decision. When deciding which retro outdoor lighting to choose, the first thing you can do is look at whats already there. But don't just look at it, examine it. Look at all the details that are often overlooked. We tend to overlook the little things we've become accustomed to seeing all the time because we think they'll always be there. In what era was your home built? Play off of the architectural style already present so you can match your retro fixtures to it. You may also decide to look at the environment around or nearby you. What era is that from? Are there other fixtures already present that you'll need to blend them into? If so, you'll want to do your best to match your new fixtures to the existing ones. Its not enough to get the right style to match. Getting the finish right is critical if you want your fixtures to flow with your outdoor theme long after they've tarnished. For example, if you're adding onto an existing copper outdoor lighting setup, you'll want to be sure that you purchase copper outdoor lighting fixtures to match the existing ones. These should not to be confused with brass outdoor lighting fixtures which may be a little tricky to decipher the difference between the two. That's why it is important to know precisely what type of metal the fixture is made up of. Your home or building's architectural style may differ from the era it was built in. Influences from different architectural eras will often influence the architecture of your outdoor theme. You may have a home or building that was recently built, but the architecture was inspired by a 1950's cape. On the flipside, you might own a home or building that was built in the 1950's and is a 1950's cape. Therefore the use of antique outdoor lighting fixtures to play off of your home or building's antique architectural style is the best way to keep your outdoor lighting design consistent. Maybe you've decided to revamp a section of your backyard or possibly the whole thing. If you like the retro look, this is where you can get really creative and decide which style or era you want to play into. Remodeling gives you more freedom in choosing the retro outdoor lighting theme you like best. You can even use your retro light fixtures to influence the overall outdoor lighting design. Remember not to forget about the surrounding environment and architectural style. Here is where you can really get creative. Many times what influences the type of retro outdoor lighting we decide to go with is our fond memories of the good ol' days. Maybe you loved the 50's, 60's, or 70's. Regardless of what you like best, look around to see what outoor lights were popular at that time. Then decide how you can incorporate that into your retro outdoor lighting theme. You may already know which retro lighting theme you like so deciding on the right outdoor lighting fixtures is the only challenge. If your not that lucky, consider some of what we mentioned earlier to help make your decisions a little easier.